Submit your home page URL to the search engines that are most relevant to your site. While there are hundreds of search engines, the most frequently used are Google, Yahoo, Bing, MSN, AOL Search, and Ask. Some of these feed search content to the other main search engines and portal sites. 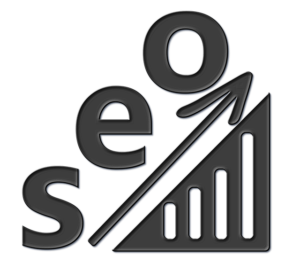 While search engine submission is not entirely necessary, since all sites are spidered eventually, it may help speed up the process. Once you’ve been indexed by a search engine, it is necessary to resubmit only when significant changes have been made.Avoid registering with FFA (Free For All pages) and other link farms. They don’t work well, bring you lots of spam e-mails and can actually cause ranking penalties by the search engines. Search engine positioning: Fine-tune the content of your pages by making minor adjustments to help them rank high. Compare your web pages against your top keyword competitors. You can do this yourself with Google web tools. Many small businesses outsource this because of the considerable time investment required to do it well. Linking Strategies: Links to your site from other sites bring additional traffic. Google and other major search engines consider the number of incoming links to your website as an important factor in ranking. More links related to your site will help you rank higher in the search engines, too. All links, however, are not created equal. Links from popular information hubs will help your site rank higher than those from low traffic sites. Submit Your Site to Key Directories: since a link from a directory will help your ranking — and get you traffic. Open Directory Project (www.dmoz.com): free, overseen by human editors. This hierarchical directory provides content feeds to all the major search engines. Plus it provides a link to your site from an information hub that Google deems important. Yahoo! Directory: Real humans will read (and frequently pare down) your 200-character sentence, so follow their instructions (https://smallbusiness.yahoo.com/local-listings). Other directories to consider: About.com and Business.com, Manta, Bin, phone lookup websites, etc. Submit Your Site to Industry Sites and Specialized Directories: Find directories focused on particular industries, such as education or finance; register with these. You probably belong to various trade associations that feature member sites. Ask for a link. Even if you have to pay something for a link, it may bring you the kind of targeted traffic from an info hub that you need. Beware of directories that solicit you for “upgraded listings.” Unless a directory is widely used in your field, your premium ad won’t help — although the link itself may help boost your search engine ranking. Request Reciprocal Links: Find complementary websites and request a reciprocal link to your site. Develop a links page where you put links to other sites. Your best results will be from sites that get a similar amount of traffic to your site. High-traffic site webmasters are too busy to answer your requests for a link and don’t have anything to gain. Look for smaller sites that may have linking pages. Write Articles for Others to Use in their Newsletters: You can dramatically increase your visibility when you write articles in your area of expertise and distribute them to editors as free content for their e-mail newsletters or their websites. Just ask that a link to your website and a one-line description of what you offer be included with the article. This is an effective “viral” approach that can produce hundreds of links to your site over time. Issue News Releases: Find newsworthy events (such as launching your free service), and send news releases to print and Web periodicals in your industry. Begin a Business Blog: although waning in popularity, a blog is a “web-log” about a topic that is posted on the web (your website). Offer excellent content and regular industry comment, people are likely to link to it, increasing your site’s popularity and ranking. Develop a Free Service. It’s boring to invite people, “Come to our site and learn about our business.” It’s quite another to say “Use the free kitchen remodeling calculator available exclusively on our site.” While expensive to develop free resources, it is very rewarding in increased traffic to your site. Make sure that your free service is closely related to what you are selling, so the visitors you attract will be good prospects for your business. Give visitors multiple opportunities and links to cross over to the sales part of your site.